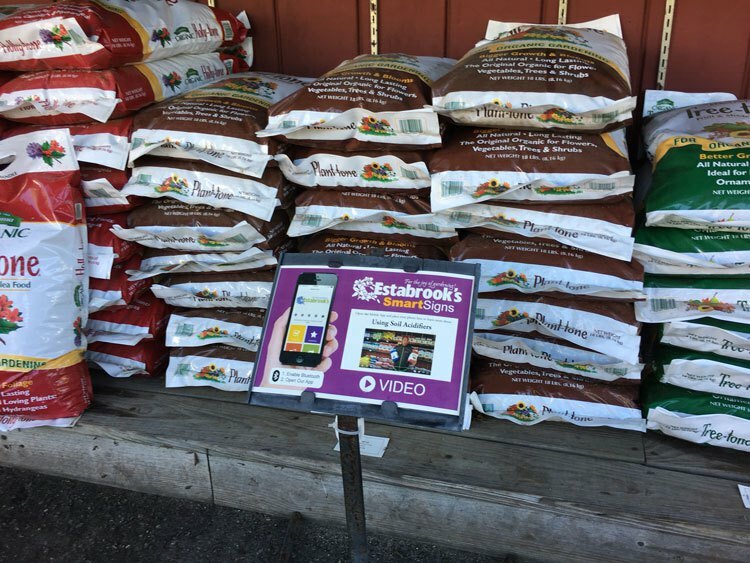 Estabrooks of Yarmouth, Maine has been an early adopter to the technology. They currently have close to 1400 users, with an increase of 28% of new users in the past 90 days. They have seen a consistent growth in check-ins for each of the past three years. They were kind enough to share some of their strategies for increasing app adoption. 1. Signs in the Yard – We have multiple 24” x 36” signs in our yard promoting the app, including one right at the entrance and many major end-caps. We use two different designs for the signs – one version highlights the deals available on the app and the other promotes our “Smart Signs”, which use the beacon technology. 3. Check-In Signs at the Registers – App users can “check-in” at the registers using a beacon that is affixed to a sign on the counter. I think this type of “frictionless” interaction helps with our number of check-ins. Customers are reminded to check-in by the sign and can do it themselves without having to ask one of our staff members to assist them. 4. Coupons – We often include a printable sheet of coupons in our weekly email newsletter and always mention that these coupons are also available in the “Rewards” section of our mobile app. 5. Radio Ads – We do quite a bit of radio advertising and we ran some ads that featured our mobile app earlier in the season. We surveyed 29 participating garden center retailers for a review of usage. We hope you can pick up a few ideas on how you can use epunched to build your loyal customer base. It’s your app, your brand – users download your app from iTunes or Google Play.